What are the advantages of LED signs over neon signs? LED signs have many advantages over neon signs. Not only do they use half the electricity of a neon sign, but they're also lighter and safer. LED units also don't have high-voltage transformers built into them. And best of all, you can see LED signs up to 500 feet away even in daylight and when placed behind glass. 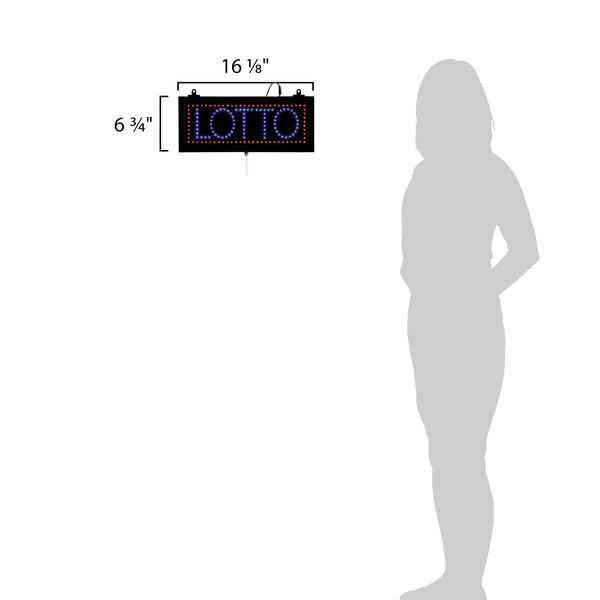 This super bright, Aarco LOT04S 6 3/4" x 16 1/8" rectangular LED sign features the word "LOTTO" in bold blue letters. A vibrant red accent border creates higher visibility to draw in customers. Three display modes, including steady on, flashing, and crawling, are controlled by an on-board switch box. 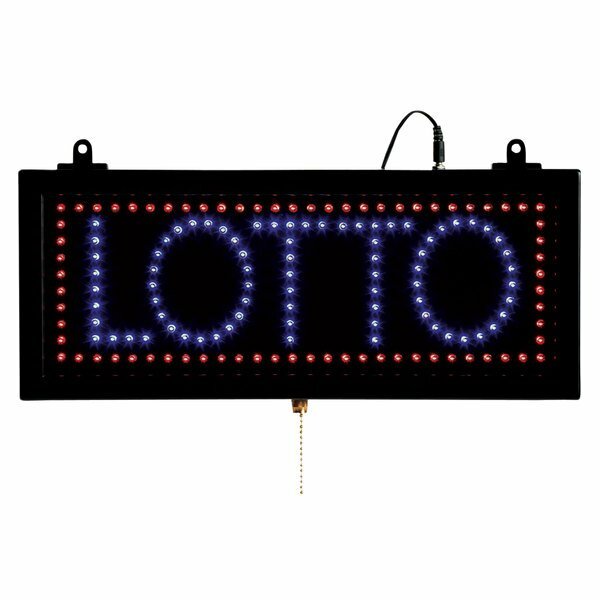 Save your business money with this indoor LED sign, which offers an economical alternative to traditional high-voltage, breakable neon lights.